It’s great to have fun while at work. It makes time go faster, it makes the job seem less like work and more like an enjoyable activity, and it makes it, well… entertaining, for lack of a better word. However, certain work environments are not conducive to horseplay, like kitchens, for instance. Kitchens can be extremely dangerous if you aren’t careful. One slip of the wrist or even walking without paying full attention to where you’re going could be the difference between having 10 fingers and being generally healthy to being covered in boiling oil, or worse. Imagine trying to look like a big shot, your first day on the job, and throwing battered, still-frozen fish in a deep fryer. The resulting eruption of boiling oil is enough to make that first day, also your last. What about dancing to some salsa music, waving your arms around and having a great time (you know you love it! ), and bumping into someone carrying a pot of boiling water? Sure you’ll live to cook another day, but who wants to go home with second-degree burns? Or reaching into a blender to clean it without making sure it’s unplugged first and getting the sleeve of your chef coat caught. You may not be able to play guitar anymore, let’s just put it that way. I don’t even want to think about goofing off around the knives. Let’s just leave that one to the imagination. The moral of the story is, leave the horseplay out of the kitchen and you’ll all live long, healthy lives. 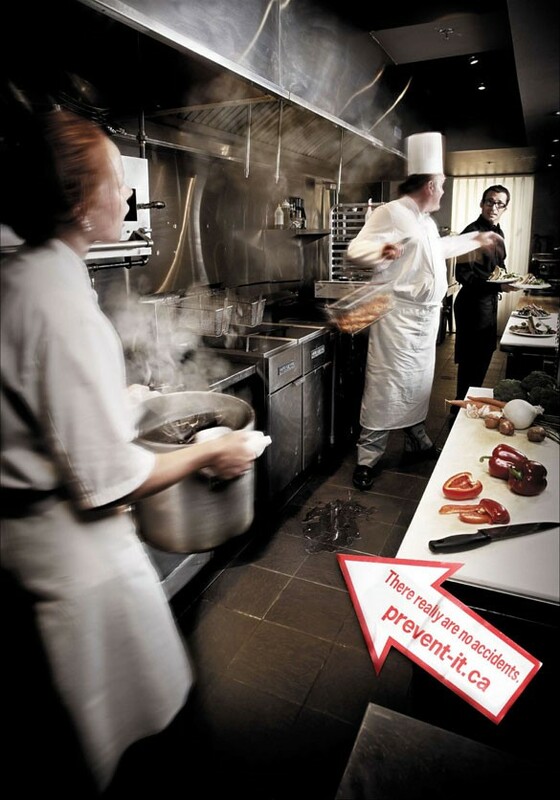 Almost every accident in the kitchen could be avoided with some proper attention and care, so do your part to ensure that your fellow kitchen staff goes home in one piece.